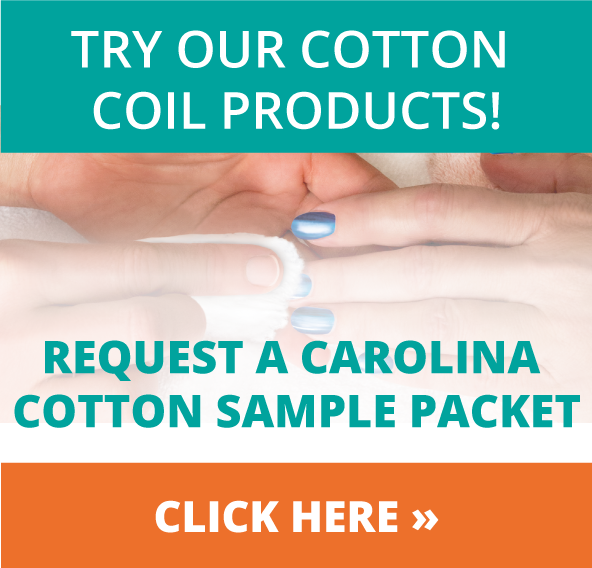 Welcome to Carolina Cotton®, the industry's favorite source for the purest 100% cotton coil products. Our natural cotton fibers mean more absorbency for nail, hair, and skin services, and are preferred by a large majority of professionals in the beauty industry. We've been around for more than 50 years, and our customers know that our product quality and offerings are second to none - both then and now!